MARACAS La Clase del Mundo is ready to take you on some great adventures with friends around the Spanish speaking world. 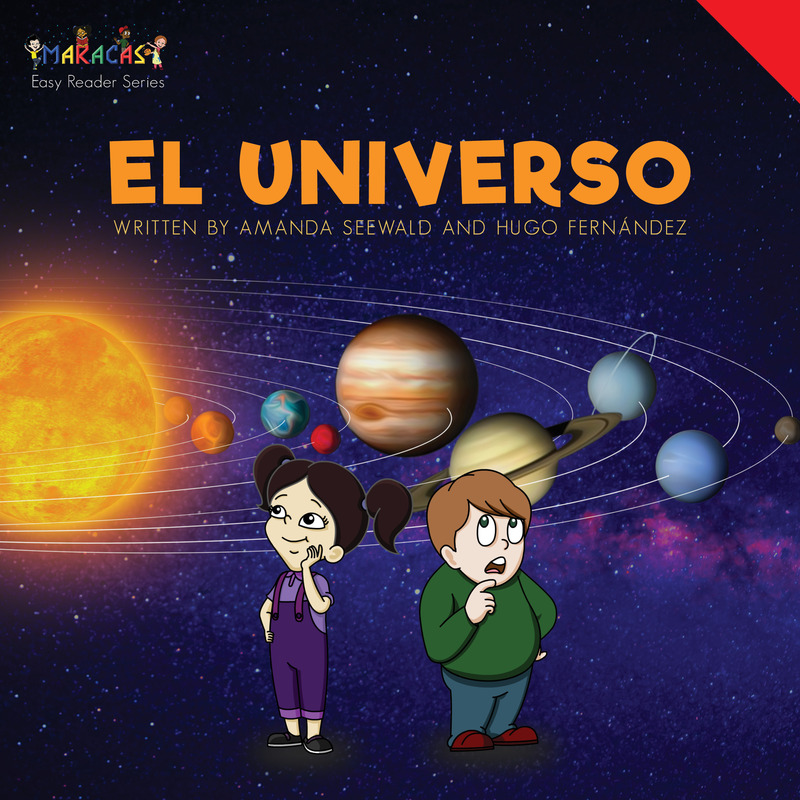 This unique series of stories and animation will take your students on an adventure connected to content and problem solving in Spanish or in English. 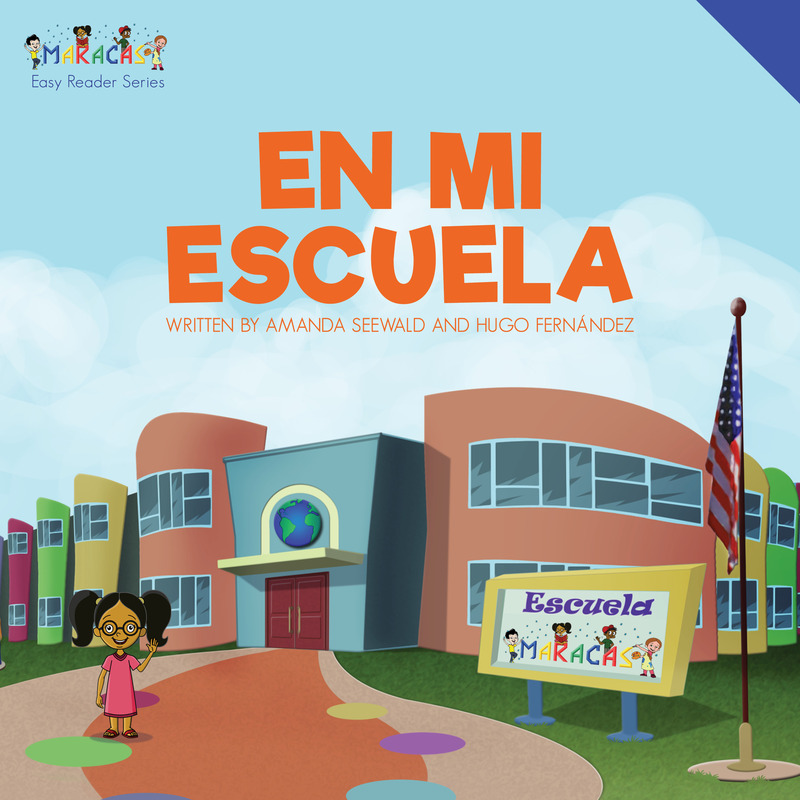 The easy reader books will be available in Spanish AND in English as e-books and hard copy books for classrooms and at-home fun. Come with us to visit La Clase del Mundo. 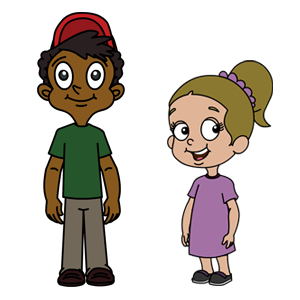 Carlitos, Gabi, and all of their friends can’t wait to explore with you! Carlitos es de Colombia pero vive en los Estados Unidos. 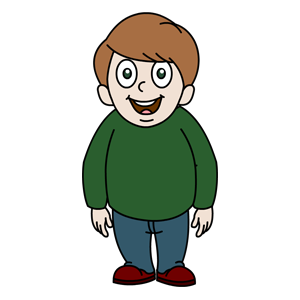 Carlitos goes to school where he meets up with his online amigos and magically can transport to be with them anywhere in the world. 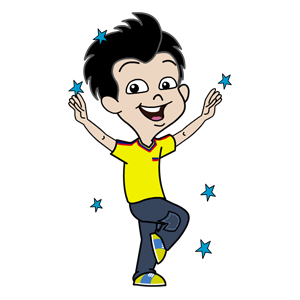 Carlitos learns by singing and dancing. His group of friends love learning from and with him. Whenever they need to figure something out they go to him. ¡Por supuesto, Carlitos puede encontrar la respuesta! Paola y Luis son primos. They are both Mexican, but Paola lives in the U.S. Paola talks all the time. 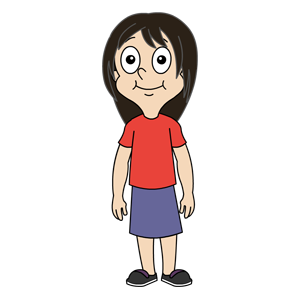 She is friendly and wants to get to know you and everything you know. She has all the info. She always knows what is going on with people. Luis is very similar. 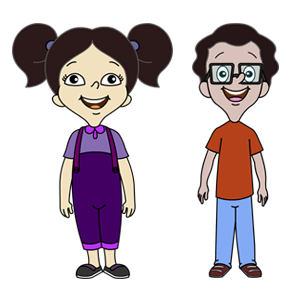 He and his cousin share all the news about people, places and fun things going on around them. ¿Cuáles son las noticias? Pedro y Hugo viven en España. They are the interpersonal learners who bring together all the ideas. 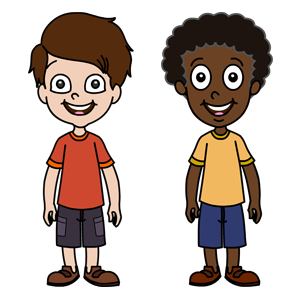 Pedro and Hugo know that they can figure things out if they work together and solve problems. ¡Lo discutimos juntos! Liam vive en los Estados Unidos. He is a scientist. He likes to get in close and look at the details. His motto is to look at things right under your nose as though it is the first time you’ve seen them. Liam loves to explore with his senses. ¡Mira los detalles! Gabi (Gabriela) vive en Chile. She loves to read and always, literally, always has her head in a book. Gabi reads fiction and non-fiction. She always looks for the answer in a book and shares the ideas with her friends. ¡Leemos con Gabi! Miguel y Beatriz son hermanos y viven en los Estados Unidos. Miguel loves to teach his little sister through play. 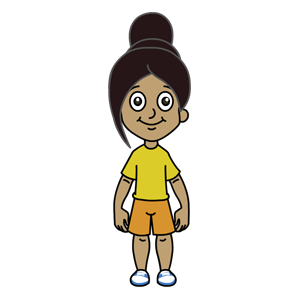 Beatriz is younger and sometimes learning takes longer for her. She loves her big brother and he always helps her see that she can do it. ¡Sí, nosotros podemos hacerlo con Miguel y Beatriz! Emilia vive en Ecuador. She is a visual learner and an artist. Emilia sees art in all things and can draw or paint anything. She makes connections between real art and what she sees in her imagination. Then she draws her own version. Emilia shows that art can be different and individual and personal. She draws and paints to make ideas come to life. 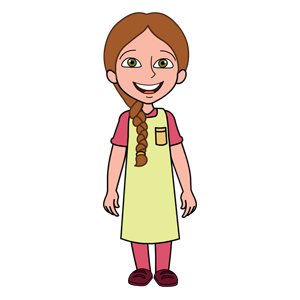 ¡Creamos con Emilia! Conchi y Alex son amigos. Conchi vive en Costa Rica. Alex vive en los Estados Unidos. Conchi and Alex see the outside world as a feast for learning. They are naturalist learners and are always eager to share how things look, sound, smell, taste, or feel outside where they live. These friends love that they can share how things compare and contrast, while always remembering that they see the same sky. ¡Exploramos con Conchi y Alex! Marielena vive en Honduras. She doesn’t talk but she is a thinker. She thinks about people, places, and ideas. Marielena is a daydreamer and we get to see her thoughts. ¡Pensamos con Marielena! 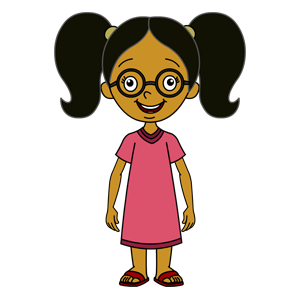 Join Gabi to learn all about what happens at her school! 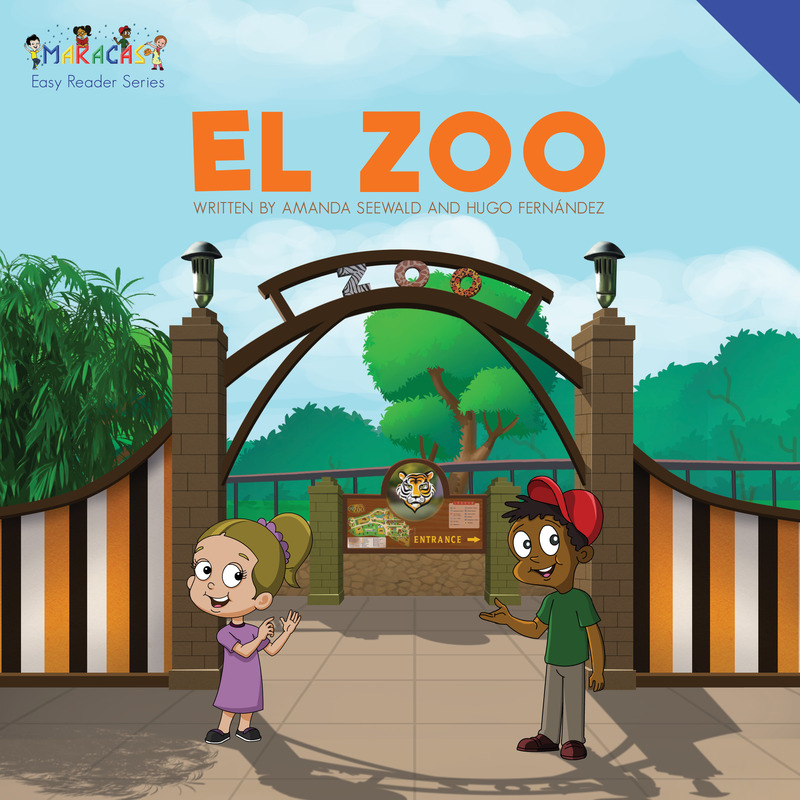 Go on an adventure with Miguel and Beatriz to find animals at the zoo! 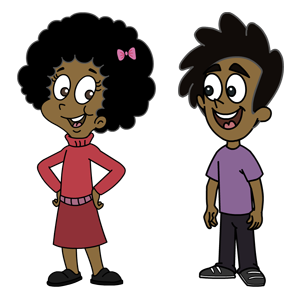 Join our friends Conchi and Liam on an adventure at the planetarium! Fill out the form below and we’ll get in touch about how we can help! Copyright © 2019 MARACAS and Amanda Seewald. All Rights Reserved. Let’s get started. What are you looking for?